Oct. 12, 2017 - Scientists filmed a mysterious blue whale courtship behavior—perhaps for the first time. This may be a "heat run," a male pursuing a female in an attempt to mate. 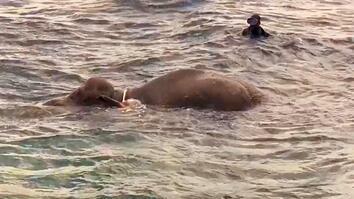 Researchers captured the footage off Sri Lanka, and watched the pair for several days. 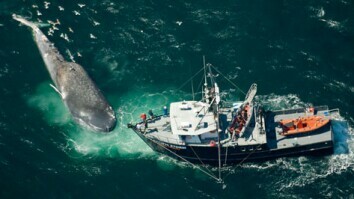 Blue whales spend most of their day feeding on krill, so seeing other behaviors is quite rare. They're much shyer than other whales, and there are a lot of unknowns surrounding their social interactions. The researchers were not able to see if the male was successful in mating with the female but they plan on returning next summer to continue their observations. 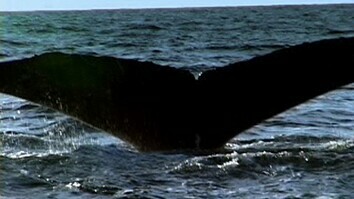 Click here to read 'Flirting' Blue Whales Caught on Camera.